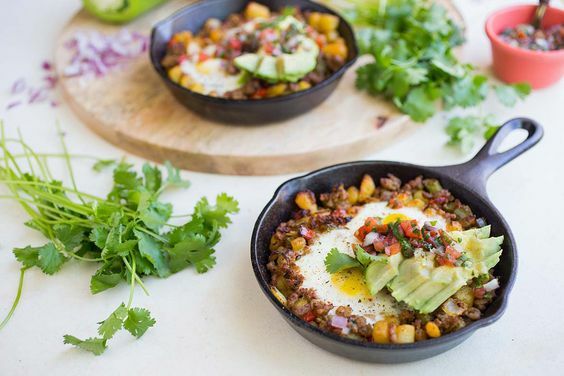 This Paleo Skillet Breakfast is perfect for a lazy, weekend morning. 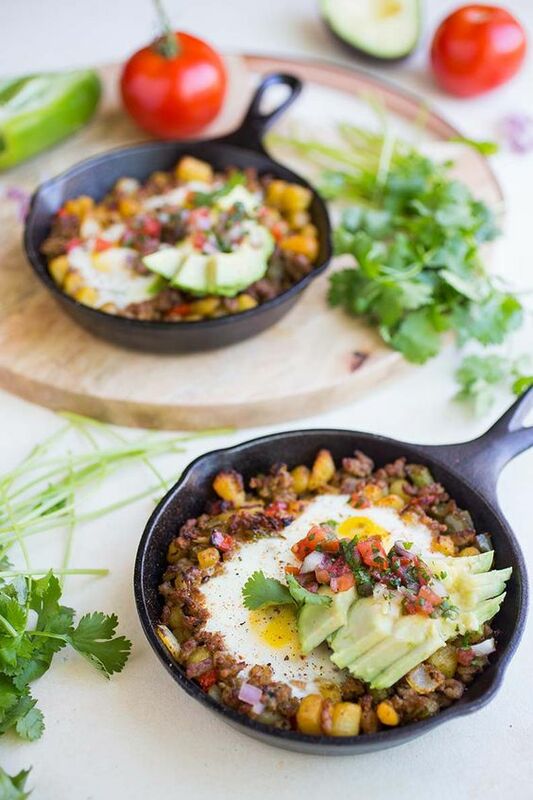 Although you’d normally find skillet breakfasts like these out at a restaurant, you’d be hard pressed to find one made with such high quality and paleo-approved ingredients. Thanks to Lodge’s adorable 6.5″ personal skillets, it’s pretty simple to prepare your favorite skillet breakfast at home! I made this dish with only a few simple ingredients, but if you’d like to add something or experiment, go for it. Sweet potatoes, bacon, other veggies… really anything would be delicious. To make this breakfast even easier, I used two different spice blends from Primal Palate – the Meat & Potatoes Seasoning and Breakfast Seasoning. I love these blends not just because they are organic, non-gmo-, non-irradiated and much more, but also because they taste delicious and make cooking such a breeze. Who wants to worry about combining five or six different spices when Primal Palate does it for you? In addition to sharing this delicious recipe, I am also giving all of you the chance to win TWO of these 6.5″ skillets! Scroll down to the bottom of this post to enter. Giveaway ends Wednesday, November 9th at midnight and is open to US residents only. Good luck! Set the two small skillets aside, you will be using these to plate and cook the eggs. In a larger skillet, sauté sausage with breakfast blend seasoning until ¾ths of the way done. Remove the sausage and set aside, but keep the drippings in the pan. Over medium heat, sauté the potatoes, onions and peppers with meat & potatoes seasoning until the potatoes and veggies are soft. Add the sausage back in and mix to combine. Remove large skillet from heat and separate into the two separate smaller skillets. In each skillet, create two deep indentations in which to crack the eggs. Crack two eggs into each skillet and place onto a rack two levels from the broiler for about 7-10 minutes or until eggs are cooked to desired firmness. Keep a close eye on the eggs so that they don't overcook. Remove from oven and top with pico de gallo and sliced avocado.